Police forces are receiving a high number of call-outs from some children’s homes, which drain their resources and increase the risk of children in care being criminalised, research by the Howard League for Penal Reform reveals today (Monday 18 December). A new report published by the charity finds that police take their safeguarding duties extremely seriously, but forces are also spending considerable time and resources dealing with minor issues in children’s homes that should not be brought to their attention. One force told the Howard League that it had been called because a child had squirted a member of staff with water. Another force was called by a home about a boy who had pulled down a curtain. One police officer told the charity that he felt on occasion that homes called the police to help them ‘tuck up’ teenagers who refused to go to bed. More than one officer said that they sometimes felt that the police were being used as a ‘taxi service’ to pick children up and take them back to homes. Policing children’s homes is expensive. It is not possible to quantify the costs nationally, but one police force told the Howard League that it would be cheaper to place an officer on the door of one of the most demanding children’s homes in their area on a full-time basis rather than responding individually to each call from that home. The findings are outlined in a Howard League briefing paper – the second to be published as part of the charity’s two-year programme to end the criminalisation of children in residential care. The report reveals that many police forces are taking measures to solve the problem, by working closely with children’s homes and local authorities to reduce unnecessary call-outs and prevent vulnerable children being drawn into the criminal justice system. Research published by the Howard League previously has shown that children aged 16 and 17 living in children’s homes are 15 times more likely to be criminalised than other children of the same age. Frances Crook, Chief Executive of the Howard League for Penal Reform, said: “The Howard League is proud to have played a key role in reducing child arrests across England and Wales. Working together with the police, we have ensured that tens of thousands of children will have a brighter future and not be dragged into a downward spiral of crime and custody. “There is still much work to do, however, and our research has found that children in residential care are being criminalised unnecessarily. Police, local authorities and children’s homes must work together to rise to this challenge. During the course of its two-year programme of work to end the criminalisation of children in residential care, the Howard League has met and heard from senior officers and their staff in more than half of the 43 police forces in England and Wales. All the forces told the charity that the total number of calls they were receiving from children’s homes was a serious concern. They reported huge differences in the levels of demand that individual children’s homes placed upon them. All forces had examples of homes that were perceived to be excellent and of homes that they were very worried about. The Howard League has been told about cases where police have taken steps to get homes closed down. Conversely, the charity has also been given examples of children who were frequently getting into trouble or going missing but, when moved to a good home, stopped coming to the attention of the police. Police forces said that they wanted to improve their responses to incidents of missing children who were at risk of harm. There was criticism, however, for call-outs where the safe location of the child was known to staff at children’s homes. The head of the missing persons unit in one force said that police were frequently called very early to homes in circumstances which resolve themselves. The officer added that police had also been called out for children who were known to be on the bus on their way home but were running a bit late. The report considers the steps being taken by individual police forces to address the issue of criminalisation of children in residential care. Dorset Police saw a 49 per cent reduction in call-outs from residential children’s homes between January and August 2017, compared with the same period in 2016. The force has achieved this by working closely with Dorset Combined Youth Offending Team, the local authority and private care home providers. Care home staff in Dorset have been trained in restorative conversations and are now better able to deal with challenging behaviour without recourse to the police. The force has worked with care home staff and managers to make them more confident in dealing with such things as first-time use of Class B and Class C drugs. Dorset Police control room staff have all been trained on a multi-agency protocol, which was implemented with children’s homes and others to reduce the criminalisation of children in care. Sussex Police has developed a Missing Children Reporting Procedure, which provides a checklist for homes to run through before they call the police. It clarifies the homes’ responsibilities, prompts a review of actions that should be taken before the police are called, highlights potential risk to the child, and sets out the information that homes should provide to the police if a report is necessary. The force wants to avoid ‘informal criminalisation of what might otherwise be considered normal boundary-testing behaviour’. 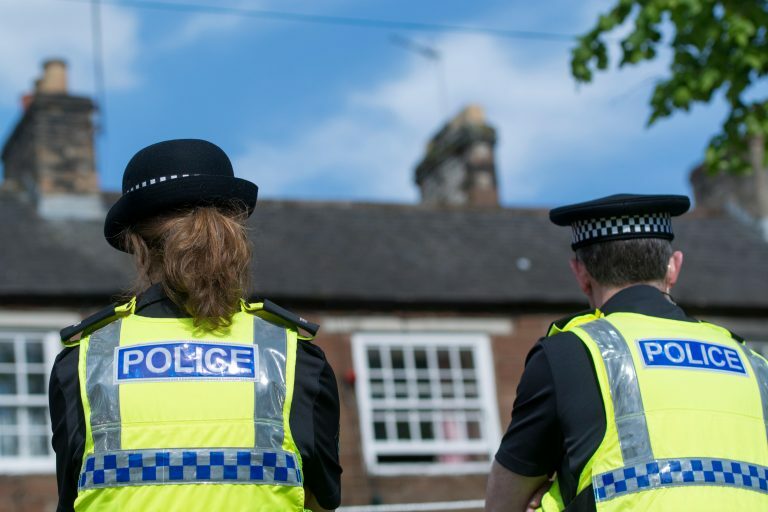 West Yorkshire Police has designated two police community support officers (PCSOs) to work specifically with staff in children’s homes in the Wakefield area, where call-outs had been particularly problematic and demanding. The force also has a crime reduction officer who is specially trained and tasked with working with vulnerable children and adults. The officer holds non-judgmental interviews with children to understand why they have gone missing and to see how the police can support them to prevent it. One such interview revealed that a child was simply going to McDonalds to use the wi-fi. The missing incidents came to an end when the children’s home installed wi-fi at the request of the police. In the London borough of Waltham Forest, the Metropolitan Police is to begin training care home staff in restorative approaches. The force is working with Waltham Forest Council and children’s homes to develop individual ‘trigger plans’ for children who go missing. The trigger plans will encourage children’s homes to take on appropriate levels of parental responsibility for risk assessment. They will mean that agencies’ responses to missing episodes are more closely aligned to the risk involved – the action taken when a child is at risk of sexual exploitation, for example, will be different to when a child, albeit breaking a curfew, is known to regularly meet a friend or sibling in the local park and is keeping in contact by phone. West Mercia Police has set up a Resilient Care Home Team to help homes manage the demands they face and improve the care they provide to children. The force reviewed all the calls it received from children’s homes in Shropshire from April 2014 to December 2015 to assess what percentage of calls were appropriate. Police worked closely with homes and by December 2015 total call-outs were down significantly. The proportion of calls that were appropriate rose from a low of 18 per cent to 56 per cent at the end of the test period. The biggest improvements were seen in the three children’s home companies that had been causing most concern. In less than a year, one company rose from a low point where none of the calls were deemed appropriate to a point where 100 per cent of calls were found to be an appropriate response. Durham Police has assigned a dedicated officer to each care home to help staff develop problem-solving plans and prevent them repeatedly calling for police assistance. In Margate, Kent Police officers have provided training to homes on ‘county lines’ gangs that use children to sell drugs. South Wales Police has allocated officers as ‘single points of contact’ for each children’s home, usually local policing inspectors coupled with a local police officer or PCSO. In addition, a Missing Person’s Co-ordinator and Missing Person team are working more closely with homes to help prevent missing incidents and respond better to them. Merseyside Police hosted an event for care home providers, youth offending teams, local authority contract managers and criminal justice agencies to promote a new protocol for reducing the unnecessary criminalisation of looked-after children. Ending the criminalisation of children in residential care – Briefing two: best practice in policing can be read on the Howard League website. More information about the Howard League’s programme to end the criminalisation of children in residential care can be found on the charity’s website.